The Regional Minister-designate for the Bono Region, Mrs. Evelyn Ama Kumi-Richardson, has been approved by parliamentary majority decision just before Parliament rose on last Friday for the Easter holiday. She was approved by 124-85 majority decision after secret voting by Members of Parliament (MPs). Her approval was delayed because the Appointments Committee of Parliament chaired by the First Deputy Speaker, Joseph Osei-Owusu, realised it needed to do further checks on certain issues raised against the nominee by the Minority National Democratic Congress (NDC) MPs on the committee concerning some queries on her official trip to Canada and a doctorate degree she is said to have earned from Wallbridge University in the Dominican Republic. The Minority members led by the Minority Leader, Haruna Iddrisu, had seen the nominee as unfit to occupy the regional minister position because of these issues raised against her. The committee therefore did further investigations and was told by the Auditor-General that even though such a query has been raised against the nominee that cannot be used to judge her since the query is still under investigation by his office. The issue of her alleged fake doctorate degree was also being handled by the National Accreditation Board which is yet to determine the genuineness of the degree or otherwise. But on the floor on Friday, the Minority members led by the minority leader still insisted that the nominee does not qualify to be a regional minister because apart from these serious issues raised against her, she lied on oath about the declaration of her assets. 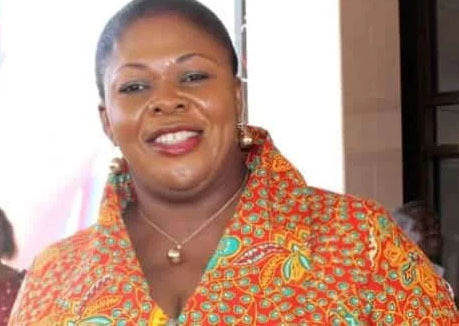 They, therefore, insisted that the nominee be completely rejected by Parliament but the Majority New Patriotic Party (NPP) MPs led by their leader, Osei Kyei-Mensah-Bonsu, said the nominee qualifies despite these issues raised against her and that those issues had been resolved. The majority leader therefore called on Parliament to approve of her nomination but the Minority strongly objected and called for secret voting for her approval. After the secret voting, the nominee secured 124 majority votes as against 85 minority votes, thus confirming her approval by Parliament.